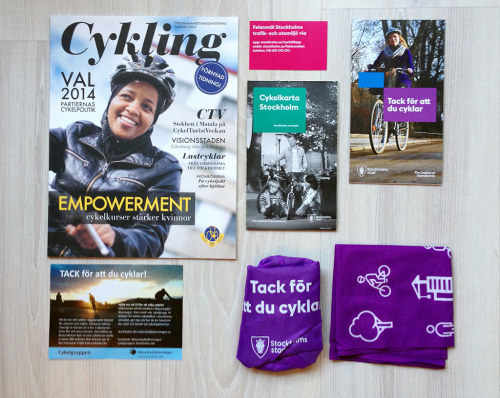 On September 17, the City of Stockholm and Naturskyddsföreningen (the most influential non-profit environmental organization in Sweden) will give goodie bags to cyclists around Stockholm as a thank you for riding a bicycle (“tack för att du cyklar”). Will you commute by bike on September 17 and ride by one of the check points to get a bag? What do you think the goodies will be this time? I’m tempted to fly over to Stockholm just to get the free bag! Lol. 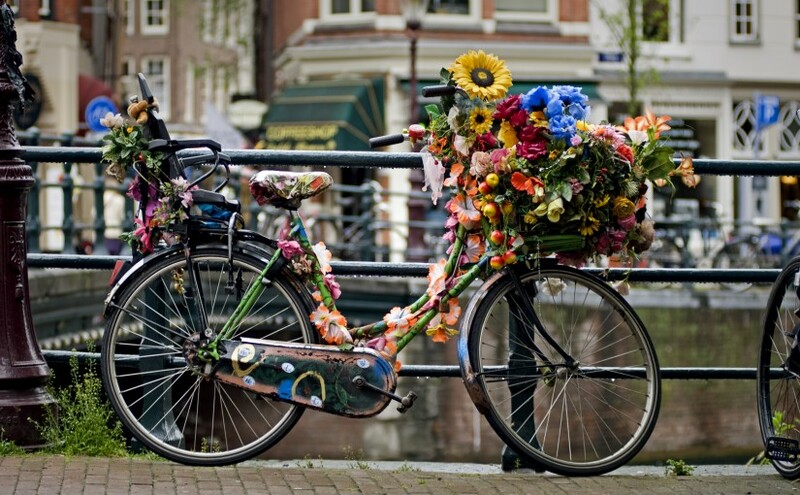 But seriously, I think it’s great that people are being encouraged to bike. We need a few more things like this in the US. Well. It might look good on paper but I’m not so convinced a free bag makes people cycle to work. Most of those who will get a bag that day are already cycling anyway and are not really the ones who should be encouraged. I, despite the political announcements and press releases, have not seen any improvement whatsoever on the 10 kilometer route I’ve been riding twice a day all year round for the last 6 years or so. And there is room, plenty of room, for that. This is what you get when you riiiddeeee with us. Previous Previous post: How was your day?